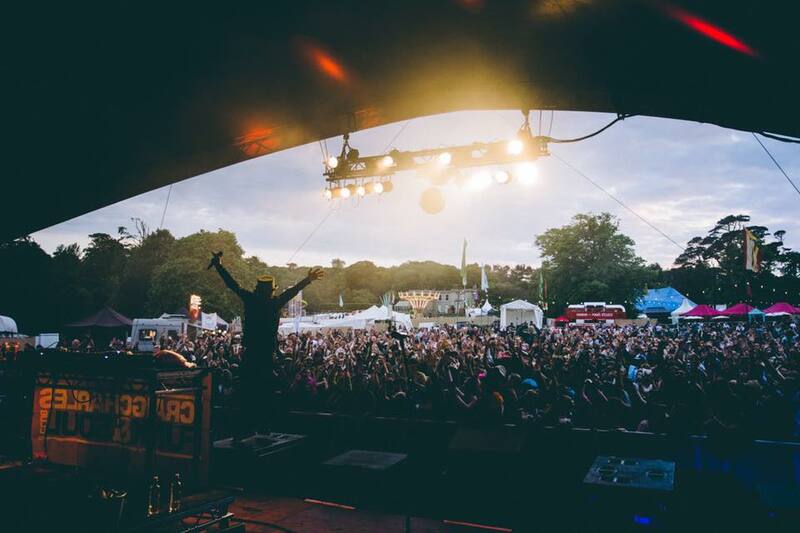 Saturday night at The Great Estate’s Stage On The Green has hosted some memorable British alt-rock bands: Echo and the Bunnymen and The Charlatans. This year we step up to sit down with James! In the late 80s they bought the world “Sit Down” and then in the early 90s, “Laid”. Now they are back with their 15th studio album, the aptly titled ‘Living In Extraordinary Times’. In 2017, Sam Duckworth redonned his cape and returned to the band he formed 13 years ago after a prolonged absence. Then, in 2018, Get Cape released a new album, ‘Young Adult’. And now, in 2019, they will be headlining the Friday night at The Great Estate Festival. Our resident funk and soul favourite, Craig Charles returns to Scorrier to headline the Sunday night at the Great Estate Festival. Proceeded by two first-class bands – Brass Against and London Astrobeat Orchestra – Craig Charles close the festival with his one-man party machine. This year we’re bringing you four nights at The Great Estate! 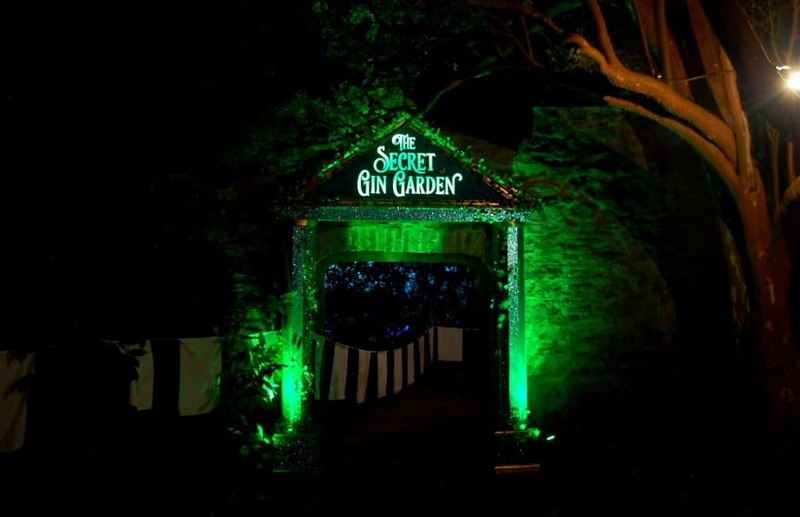 Our opening party will kick-off in the Secret Gin Garden with the phenomenal Backbeat Soundsystem and, of course, some Tarquins gin and tonics. Only a limited number of tickets are available to this exclusive event so make sure you secure yours! 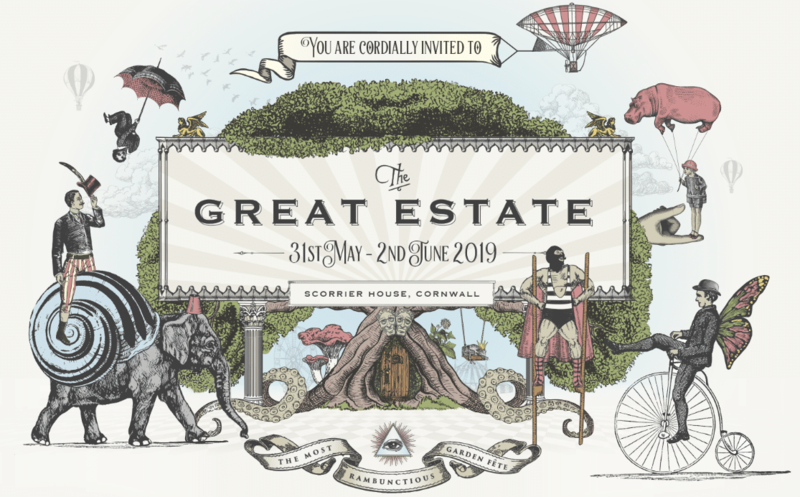 For the first time at The Great Estate Festival, you can step into the grand house that sets its backdrop! This also presents another first: Eat like a king in a stately home… while at a music festival. How often do you get to do that?! Saturday afternoon brings a tea-at-the-Ritz experience with tiered platters of cakes, sandwiches and, of course, Cornish cream teas. Select from a range of teas, or spice things up with a prosecco from our house bar. On Saturday evening, the Wild Wine Club brings an unforgettable four-course feast from Adam Banks, head chef at Fifteen Cornwall. Sunday morning’s recovery Big Brunch Party will hit the spot with cooked and cold dishes and, naturally, bloody marys and bucks fiz! Tickets are all selling fast for these meals so make sure you get yours soon (follow the links in each paragraph). Another exciting addition to The Great Estate in 2019 is the new Sanctuary, where yoga, healing, hot tubs and everything else wholesome takes place within a tranquil glade. 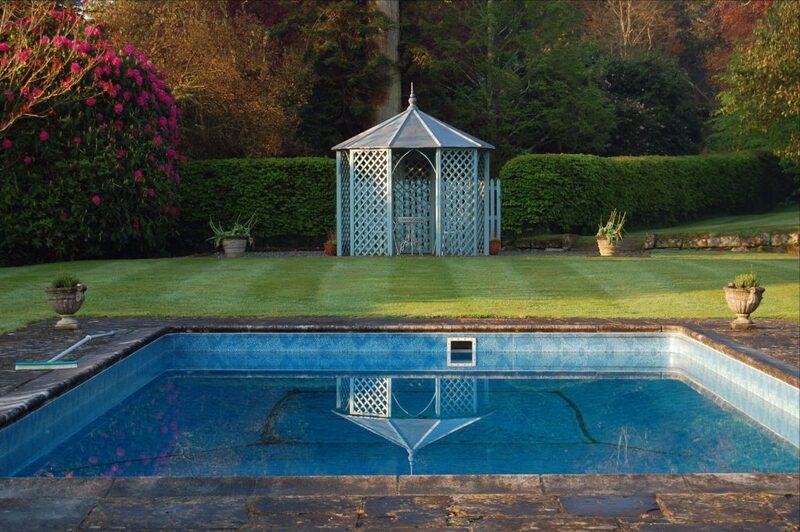 This year that glade will be even more tranquil as it moves to a hitherto un-explored corner surrounded by herbaceous flowers and verdant lawns. Make sure you discover this one. Thirty Mexican wrestlers will descend on Scorrier for a Saturday night show of immersive mayhem. Please note this is an adult show, but our masked wrestlers will be performing a Saturday afternoon family-friendly show as well, giving a fantastic chance for all to meet these amazing wrestlers. 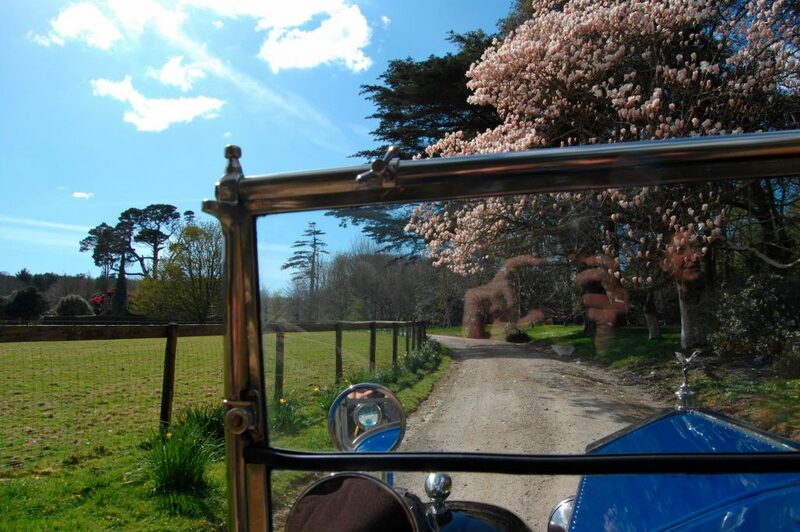 Trundling down the driveway and into the park on Sunday afternoon will be a fleet of classic cars representing several decades of automotive history between them. Come and admire their style and chat to their owners as they line upin frontt of Scorrier House. Take part in some truely Victorian fun. Tug of War, Sack Races and Croquet and other games will take place in front of Scorrier House and open to everyone. We are moving the silent disco, but where to? Here’s a clue: It’s still in woodland but under different trees. So popular has the Woodland Silent Disco been in previous years we’ve had to relocate it. But we’ve also improved it: Expect a bigger and more rambunctious silent disco in 2019. 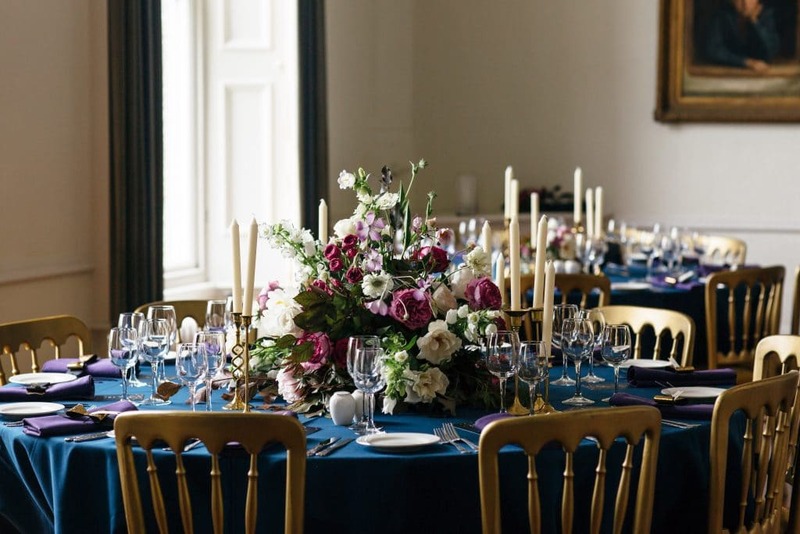 The eclectic selection of happenings at the Great Estate does not stop there. 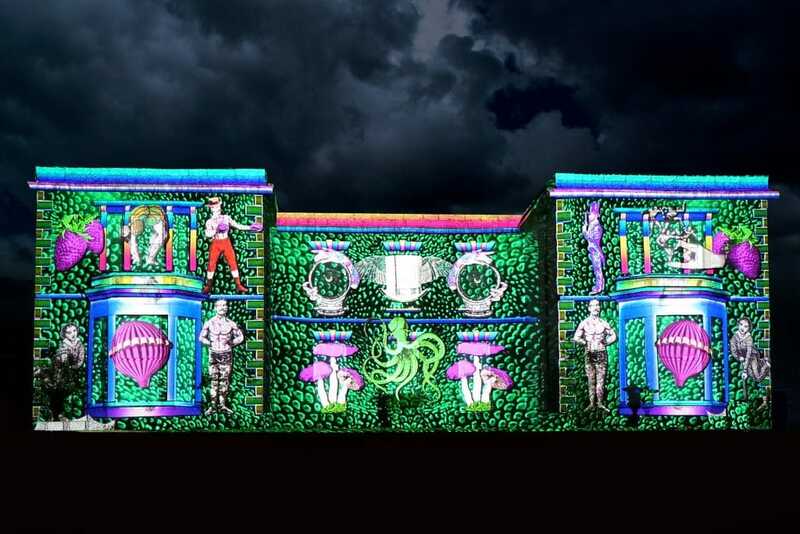 Returning will be festival favourites including the Secret Gin Garden, Madam Wongs House Of Wrong, The Grand Cinematic Experience (pictured) and some of our best street food stalls. And of course, there’ll be music… and lots of it. Across four stages you can hear everything from rock to rap and classical to country.